No one is certain of the exact purpose of the Stonehenge construction, but it is thought that the ancient stone circle was constructed for the purposes of worship. What we do know is that the stones are aligned perfectly for the sunset of the winter solstice, and the sunrise of the summer solstice. Pretty neat really. Furthermore, the monument evolved in stages between 3000 and 1,600 BC and we just can’t figure out how they engineered that sort of thing way back then … Now if those facts, in and of themselves, don’t fill you with you with that exciting twinge of mystery, you may actually be in a coma. Londoners had warned about the disappointment of the highway built up around it, and the encroaching industry of the place. Fair enough warning. But the fact is, as the car drew closer to the Wiltshire destination, I was undeniably excited. I had wanted to see this magical mystery thing for so long that I felt like a kid in an Enid Blyton book. The thing is, I am so often underwhelmed by what people (myself included) construct. If for no other reason than that, Stonehenge is an absolute Must Visit. Because sometimes it’s nice to find yourself awestruck and impressed by what humans do. 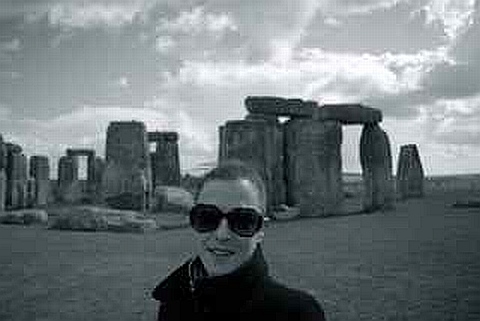 Stonehenge is like a monument to mortal magic – a structural ‘ta-da’. And it certainly made me want to applaud. If you loved this story, please be sure to swing by Georgia’s website for more of her wordsmith deliciousness. I agree Georgia. There is nothing like driving across the Salisbury Plains in driving rain and seeing Stonehenge like a mirage before you. We visited on such a cold, wet and windy day we seemed to be the only ones there (or the only ones silly enough). We also heard that there were many more stones there that people stole for their new front steps/garden fence/mantlepiece etc in years gone by. Still amazes me that they got those enormous stones there in the first place. How’d they do that? Thanks for the memories. They did look kind of special just driving past them from the highway, I can see how being in their shadow would be that much more spectacular! Glad you enjoyed them Tiny! Go people!